David Nadeau, 54, 395 Ridgewood Road, West Hartford, was charged on Jan. 8 with illegal operation of motor vehicle under the influence of alcohol/drugs and failure to drive in proper lane. Anthony Adamo, 30, 33 Hillside Ave., Torrington, was charged on Jan. 8 with sixth-degree larceny. Ryan Reyes, 38, 39 Janet St., New Britian, was charged on Jan. 7 with sixth-degree larceny. Corey Lewis, 34, 616 Seaview Ave., Bridgeport, was charged on Jan. 12 with second-degree harassment. Noel Ortiz, 18, 81 Ashland Ave., Newington, was charged on Jan. 12 with second-degree breach of peace, third-degree assault and second-degree unlawful restraint. Kevin Kelley, 47, 2672 Berlin Turnpike, Apt. 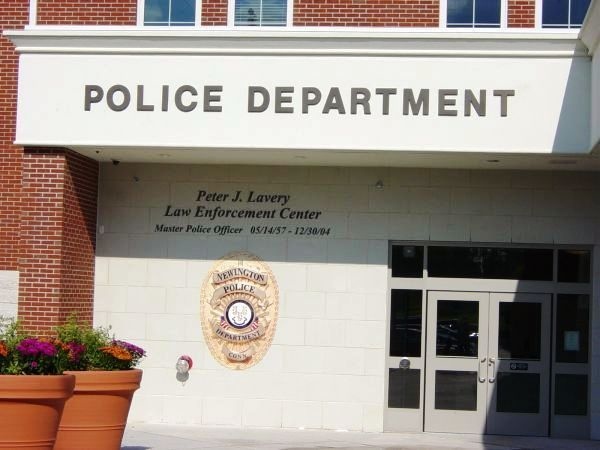 117, Newington, was charged on Jan. 11 with fifth-degree larceny. Sheryl A. Gagne, 34, 1 Darling St., Southington, was charged on Jan. 11 with two counts of second-degree failure to appear. Matthew David Blacha, 45, 32 Cook Ave., Apt. C27, Meriden, was charged on Jan.15 with use of drug paraphernalia, possession of controlled substance and second-degree breach of peace. Andre Epps, 48, 48 Prince Ave., Newington, was charged on Jan. 14 with third-degree larceny, two counts of third-degree identity theft and second-degree forgery. Paul H. Palozie, 50, 113 Baldwin Drive, Middletown, was charged on Jan. 13 with making/offering home improvements without certification.